Receptor tyrosine kinases (RTKs) bind to growth factors at the cell surface and activate various intracellular signaling pathways to elicit responses with broad roles in developmental cellular processes. A subset of RTK families has been shown to regulate the activity of neural crest cells (NCCs) and the development of their derivatives in mammalian systems. NCCs are migratory, multipotent cells that play a critical role in vertebrate development. Cranial NCCs originate from the forebrain to the hindbrain and populate the frontonasal prominence and pharyngeal arches 1-4. These cells give rise to the bone and cartilage of the frontonasal skeleton, among other derivatives. ​Our lab is focused on investigating the mechanism and function of signaling through a particular RTK family, the platelet-derived growth factor (PDGF) receptor family, in development of the cranial NCC-derived craniofacial skeleton. Craniofacial development is a complex morphogenetic process, disruptions in which result in highly prevalent human birth defects. 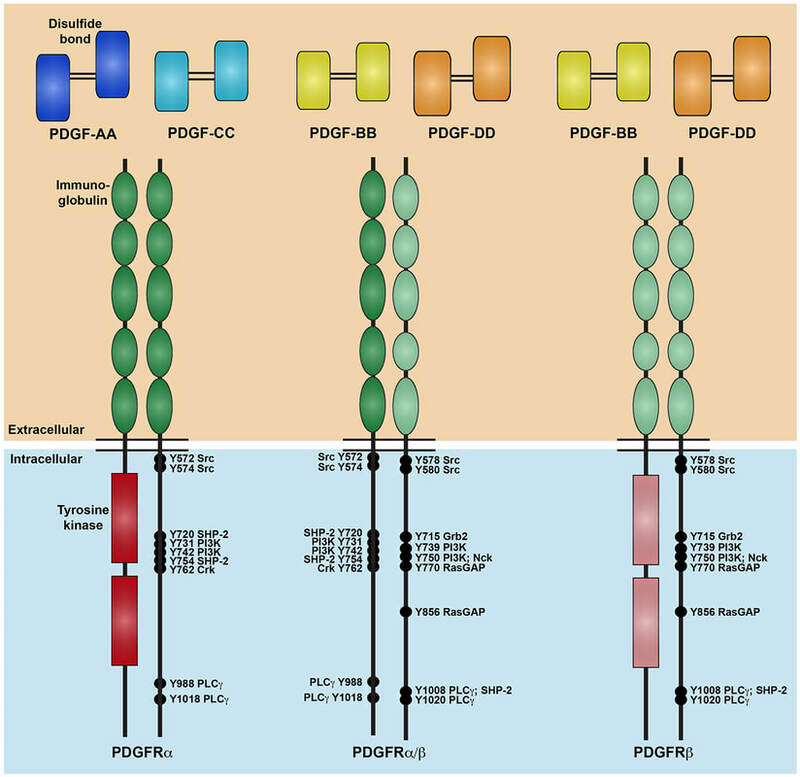 Signaling through the PDGFRs plays a critical role in this process in both humans and mice. Pdgfra mutant mouse models display a range of craniofacial phenotypes such as midline clefting, subepidermal blebbing and hemorrhaging. Functional analysis of PDGFRalpha signaling during mouse development has revealed roles in promoting migration of cranial NCCs, proliferation of the NCC-derived craniofacial mesenchyme and osteoblast differentiation. We have demonstrated a role for the other RTK in this family, PDGFRbeta, in murine craniofacial development, demonstrating that ablation of Pdgfrb in the NCC lineage results in increased nasal septum width, delayed palatal shelf development and subepidermal blebbing. Further, we showed that PDGFRalpha and PDGFRbeta genetically and physically interact in the craniofacial mesenchyme to form functional heterodimers with unique signaling properties, thus uncovering a novel mode of signaling for the PDGF family during vertebrate development. ​Our goal is to characterize novel intracellular pathways and cellular processes engaged downstream of PDGFR induction. 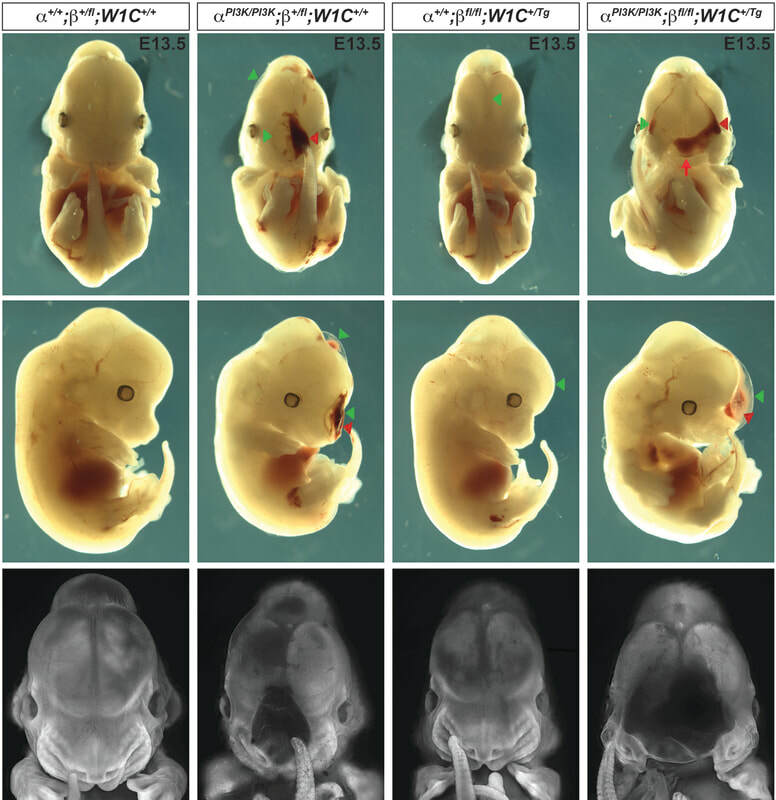 A current project in the lab focuses on examining the in vivo dynamics of PDGFR dimer-specific formation and the resulting effects on gene expression and cell activity in the craniofacial mesenchyme. A second ongoing project seeks to characterize tissue-specific alternative RNA splicing downstream of PDGFRalpha signaling in the palatal mesenchyme. We utilize an array of complementary approaches such as bimolecular fluorescence complementation, phosphoproteomics, conditional mutagenesis in the mouse embryo, next-generation sequencing and in vitro primary cell activity assays to explore novel aspects of craniofacial biology and ultimately provide therapeutic directions aimed at the treatment of human birth defects.